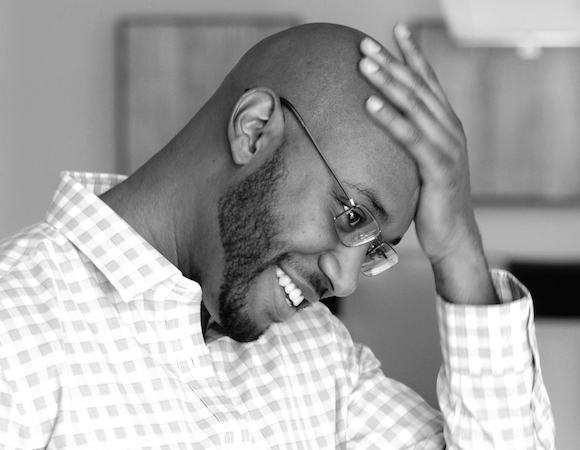 Willie Jackson is an artist, engineer, marketer, and writer who leads the Performance team at W3 EDGE and supports users of W3 Total Cache. He has been featured in documentaries (I’m Fine, Thanks), on HTGV (House Hunters International Episode HHINT-5010H), and in print (Icarus Deception by Seth Godin, 2012). Willie writes semi-regularly on his eponymous blog about business and success through the eyes of a curious marketer. A graduate of Florida State University (Information Technology), Jackson currently lives in Jacksonville, FL. Once you upgrade from the Community (free) version of W3 Total Cache to the Pro version ($99/yr subscription), you’re assigned a license key that in most cases is automatically applied. In the event that activation isn’t automatic, you simply need to paste the license key (which is sent via email and displayed in your browser at the time of purchase) in the License field on the General Settings page and save settings. A number of customers were unsuccessful in getting the Pro version activated despite following the steps above, and our investigation has revealed that a patch is required in order to complete the activation process if you’re among those affected. We’re happy to implement this patch for you! Just email us at w3tc-team@w3-edge.com and let us know that you need help. We’ll provide you with a secure link so you can send us WP Admin and filesystem (SSH or FTP) access. Note that both required to implement and verify the patch, so please be sure you have both ready. This patch will be in the next release, so most people won’t have to worry about it. We don’t have an ETA we can give you for this release, but it will be available “soon” (smile). Please make a backup of this file before making changes if you attempt this on your own, and as always, thanks so much for using W3 Total Cache. APC is an opcode cache used by many sites to improve application performance. PHP is an interpreted language, and the scripts (such as the ones that comprise your WordPress site) are loaded, parsed, compiled into an opcode, and executed when called. This process can use an inordinate amount of resources on a busy site, especially one without caching, so we need to do what we can to optimize this process. Note that the optimal configuration depends on available memory, your theme, active plugins, and other factors. If you’d like help unlocking your site’s performance potential, place your order here and we’ll implement these best practices for you. And if you’d like to be updated when products are updated or announced, be sure to sign up here. The integration of a Content Delivery Network (CDN) into your website remains one of the easiest and most cost-effective ways to improve web performance. 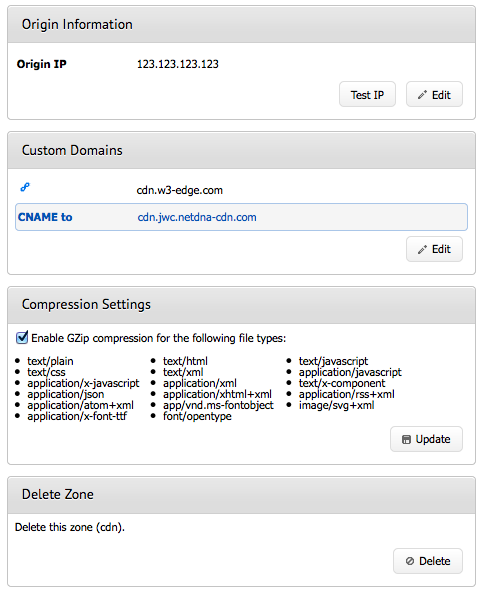 W3 Total Cache supports several CDN types (self-hosted, origin pull, and origin push) and makes the integration into WordPress simple. 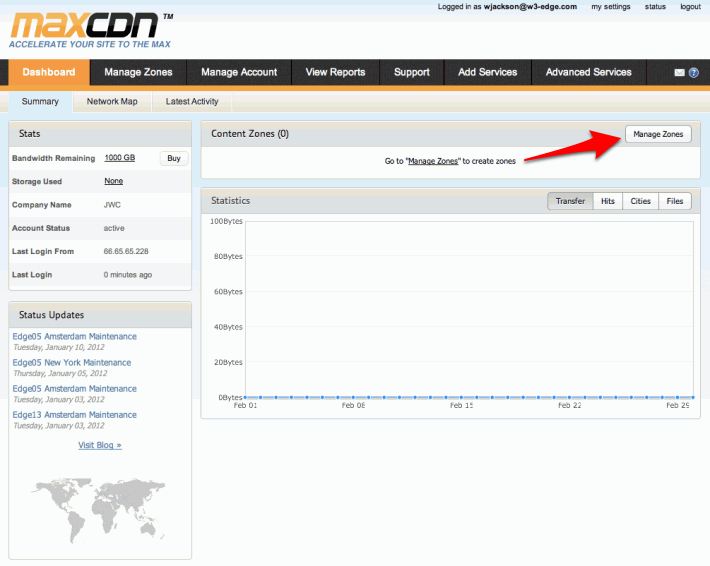 In this post, I’ll show you how to integrate MaxCDN’s origin pull CDN product into W3TC. MaxCDN’s product remains one of the most commonly used CDNs in W3TC because it’s both affordable, simple to set up, and requires virtually no maintenance once integrated. We could technically integrate our CDN now, but W3TC can communicate with the MaxCDN (allowing purge requests to be sent directly from WordPress) if we set up the API connection. That’s all we need to do in MaxCDN right now. 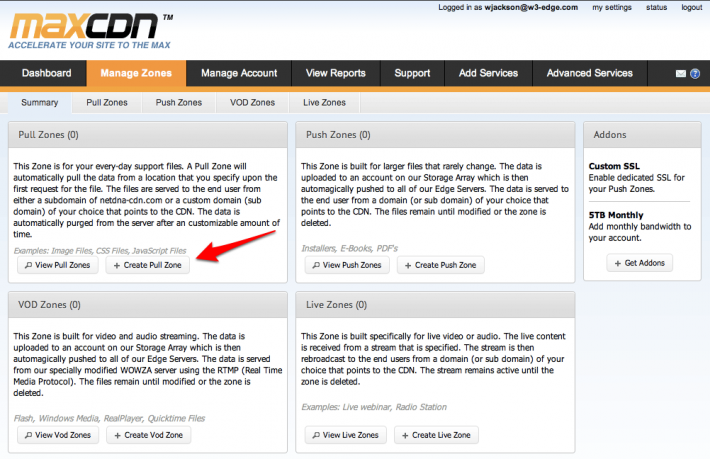 In the next section, we’ll configure W3 Total Cache using the pull zone we just created. You should see “Test passed” in green if you’ve done everything correctly. Save your settings and then navigate back to the General Settings page. 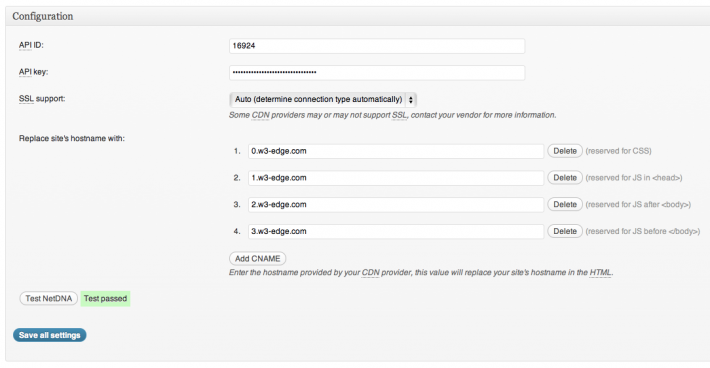 Enable the CDN by clicking the check box and saving your settings. 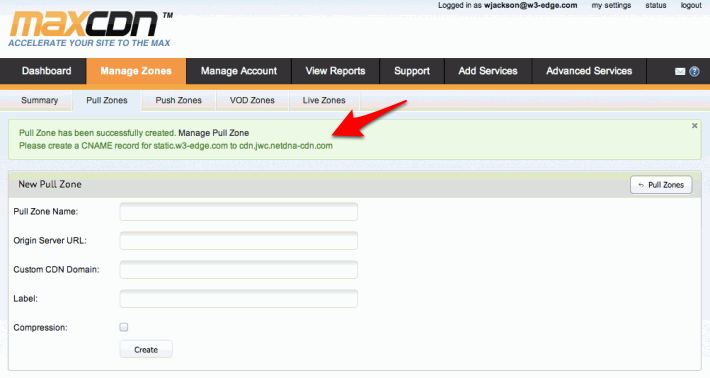 Power user tip #1: Configure a subdomain like cdn.yourdomain.com so we can get rid of long MaxCDN URL. 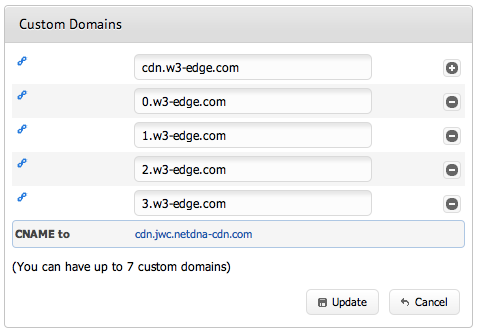 W3 Total Cache lets you configure multiple CDN subdomains, so we’ll go ahead and configure a few. Power user tip #2: We can further improve page loads speeds by using a completely different domain for the CDN, ensuring that the domain is cookie-free. So if your site is www.domain.com, you could set domain.<strong>net</strong> as the domain to use with your CDN. Note: this assumes that you own domain.net and have access to its DNS control panel. That’s it! If you have any issues getting it working, drop us a line. If you’d like us to set this up for you, we’re happy to help.